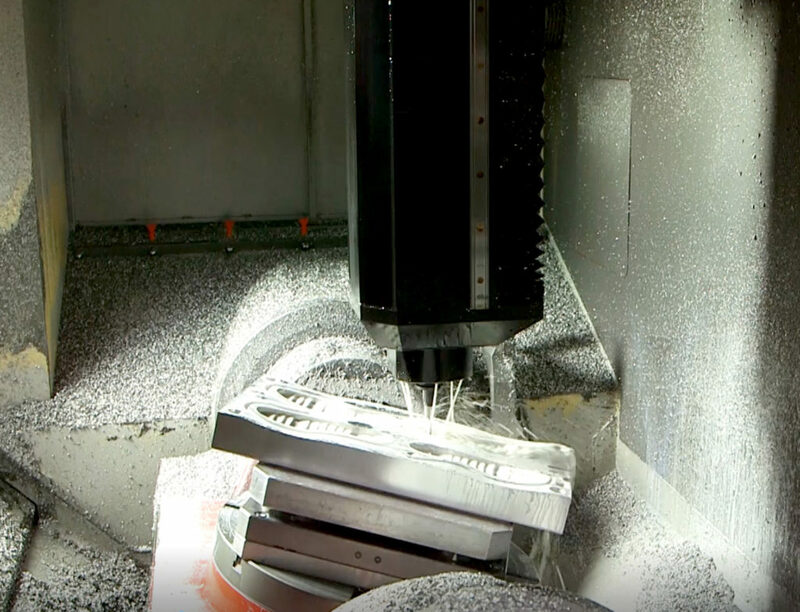 Once the smallest details of the design have been perfected and the three dimensional calculations for the mold have been completed, the project goes to the workshop, where it will be physically built with modern 5 and 6 axis CNC machining stations, providing infinite possibilities in terms of the shapes which can be produced. The machining stations at Gruppo Meccaniche Luciani are capable of inspiring the imagination of designers and redefining manufacturing at the highest levels. In addition, the workstations are equipped with robotic systems which can hold a large number of molds for continuous, 24-hour production, thereby increasing productivity with a substantial reduction of the costs.